Guitar Lessons Auckland | Learn to play guitar in Auckland today! Want to learn how to play the guitar? You can! – and it is not as hard as you think. If you, your child, or someone you know is interested in taking up guitar lessons, this is the place to get started. 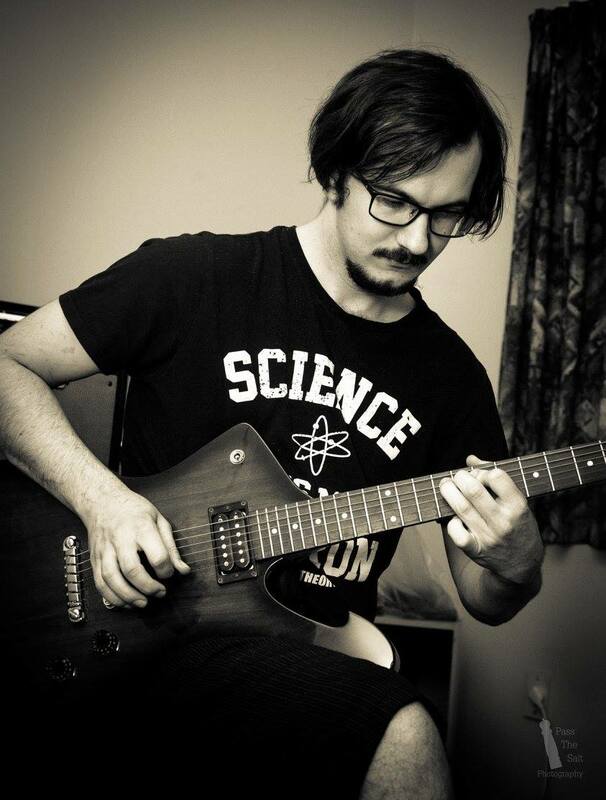 Hypermusic Studio has a small team of guitar teachers in the Auckland area who are ready to teach you. Guitar lessons are focused on the individual students needs and can allow for a wide range of requirements. We feel that it is best for students to learn what they enjoy, while being encouraged to develop their skills and progress at their own pace. This allows you to see, and most importantly, hear results with your guitar playing. It doesn’t matter what type of music you like, you will be able to learn various styles ranging from Pop, Rock, Metal, Jazz and Classical genres. Learn Acoustic or Electric guitar at any age and skill level, it’s never too late to start and there is always something new to learn. Get in contact today to make a booking or find out more information about the lessons. Learning doesn’t have to be boring! A lot of teachers use dated techniques and force you to learn things that you don’t want to. If a lesson is fun and enjoyable while still teaching students skills, songs, and techniques related to their goals, the learning process will be much easier. Each teacher we partner with is interviewed to make sure they actually know what they are doing and can provide you with excellent lessons before booking you with them. Learn Electric & Acoustic Guitar with a quality guitar teacher. Guitar lessons are taught in Auckland (West Auckland, North Shore, Central City). Both Acoustic and Electric guitar lessons are available. Guitar lessons for Adults, Teens and Kids. No experience needed, lessons are available for any skill level from beginner guitar right through to advanced. There is also the opportunity to learn music theory and note reading, as well as learning the basics of how to record, edit and mix your own music on a PC/Mac. What ever skill level you are at, with a bit of practice you will see results in not time at all. Even if you have never touched a guitar, I can help you improve. You will get a firm grasp on all aspects of playing the guitar. Get in Contact Today to get started. If you are new to the guitar and are just starting out, Follow this link for beginner guitarists. I have a page designed especially for beginners to allow you to find out everything you need to know about taking guitar lessons. It can be hard to find the right information about learning to play the guitar and this page aims to make it much easier for you. In the beginner guitar lessons page you will find helpful articles such as choosing your first guitar and helping you decide on electric or acoustic guitar lessons. If you have any further questions feel free to ask me and I will help you out.